Chris Folmsbee, the director of Barefoot Ministries, is growing in popularity and impact among emergent church ministers, and this book is one of the reasons why. In A New Kind of Youth Ministry, you will not find pages of neat new tricks you can use in your program, tools to make bigger events, and techniques for being edgier. In fact, this book is the antidote to such thinking. Not a bag o' tricks, just good intentions to challenge the idolatry of the status quo.This is a book about intentions. It contains holy intentions for true and lasting change. It offers new foundations for youth work, new approaches and practices, and an overhaul of the goals for so-called "successful youth ministry." "a strategic and intentional process of change that involves concentrated critical assessment, passionate idea generation, implementation of new ideas and practices, and the ongoing evaluation of effectiveness of the changes implemented." From Fullan's book, Leading in a Culture of Change, Folmsbee selects this important quote: "reculturing... [means] producing the capacity to seek, critically assess, and selectively incorporate new ideas and practices." It is not a process of change for change's sake, but is an authentic response to the changing youth culture. It is about creating a culture of change within your ministry and parish. The idea of change, especially changing the essentials, is scary. Most ministries are really "event ministries". The youth minister is reduced to the Religious Event Planner and the sacred work becomes mechanistic. I was afraid to change these things because of other people's attachment- "But it's a tradition!" "This is how we've always done it!" "The kids are looking forward to it!". I have refused to critically examine failing aspects of my ministry because I knew it would get me in trouble. Chris Folmsbee has not my weak spine. He fought to not only change specific elements within youth ministry, but to create a culture of change, a culture that is able to look at each part of their ministry and say, "Is this right? Is this working? Where is Jesus in this?" Here is the layout. Chapters 1-8 take an area within youth ministry and expand upon it, offering constructive criticism about the way youth ministry is currently working, what change should occur and what intentions we should have behind it. The first 4 chapters are all about ministry: Reculturing Evangelization, Reculturing Discipleship, Reculturing Service and Outreach and Reculturing Student Leadership. The second set of chapters, 5-8, deal more with the minister: Reculturing Mission, Reculturing Leadership, Reculturing Education and Reculturing Ourselves. 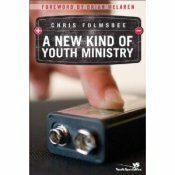 Finally, in Chapter 9, "Making It Happen", Folmsbee lays out a good and practical way to get from old to new youth ministry. Here's why it is important. Everyone doing parish-based ministry- children's R.E., youth, young adult, adult ed., whatever- needs to reculture it along the lines of the new evangelization. We need, as parish ministry leaders of Catholic Churches in America, to start hanging a question mark on every aspect of our sacred work. Are we really building communities, or just reinforcing cliques? Do I work with my volunteer catechists like we are a community, or do I just give them the left-overs? Am I praying, or am I too busy? Does our parish staff pray, work, and eat lunch together, or is it too much of a hassle to get involved in their lives? Am I seeking peer ministry for myself (other DREs, Life Teen Area Contacts, diocesan service days)? How often am I going out of my way to unite my ministry to the overall mission of the parish? Building a culture of change in a 2,000 year old Church is not exactly easy. I think the new evangelization is just that: it is about realizing how our parents evangelized and catechized ought not to be the same way we form our young church today. Information and technology have actually changed the way we live and think, which has obvious repercussions on our formation efforts that we need to take seriously. But this also does not mean that just because something is old, that it is no longer worthwhile. Often I have helped teens deepen their faith through "outdated" means: a book on apologetics from the 1920's, another was Saint Therese's The Story of a Soul, and even the venerable Baltimore Catechism has changed lives. Maybe reculturing our ministries would resurrect our classic Catholic traditions we felt were too old to be relevant. A New Kind of Youth Ministry is a guide to becoming a dreamer and creating a culture of change, for the greater glory of God. Get it. Read it. Follow though.